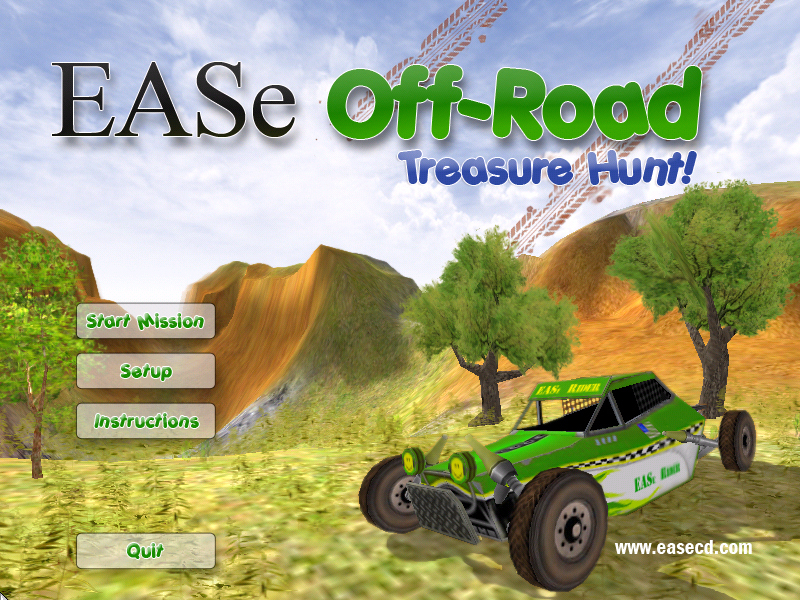 EASe Off-Road Treasure Hunt is an exciting driving game that takes the player through a lush landscape, learning and collecting treasures, while listening to stimulating EASe encoded music. In their buggy of choice, the player will explore two large-scale levels: an exotic desert island, and a hilly meadow bordered by towering red rock canyons. EASe Off-Road Treasure Hunt features a realistic terrain, complete with flowers and tall grass, so watch out for boulders and trees! The treasures range from word cards, to dot cards (quantity), to images of human faces (sad, happy, laughing, frightened, etc. ), to colors, geometric shapes, fruit, and more. The player is encouraged to follow directions, to concentrate, to explore, and to learn. 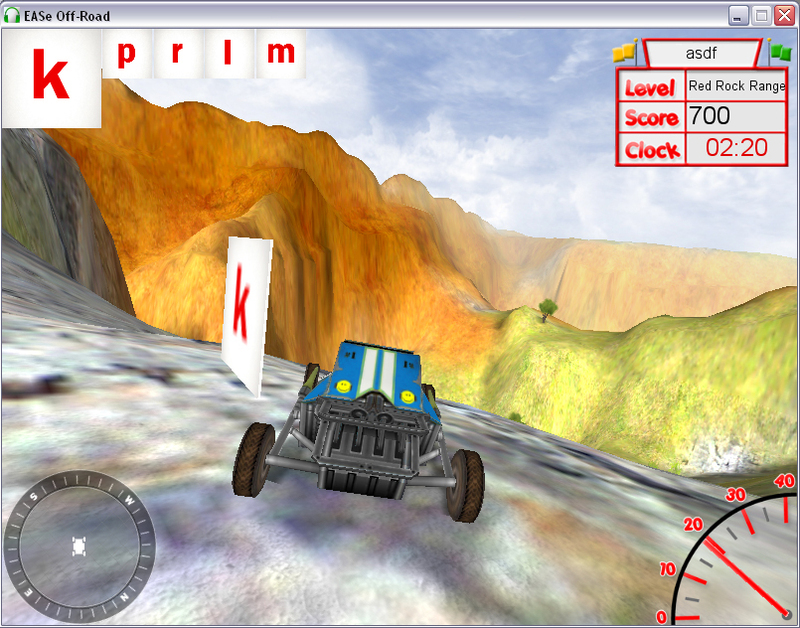 While playing EASe Off-Road Treasure Hunt, the player will experience vestibular challenges, as their buggy bounces and leaps across hilly terrain. Visual challenges are also inherent in the pursuit of educational targets from a distance, and in foliage flying by. 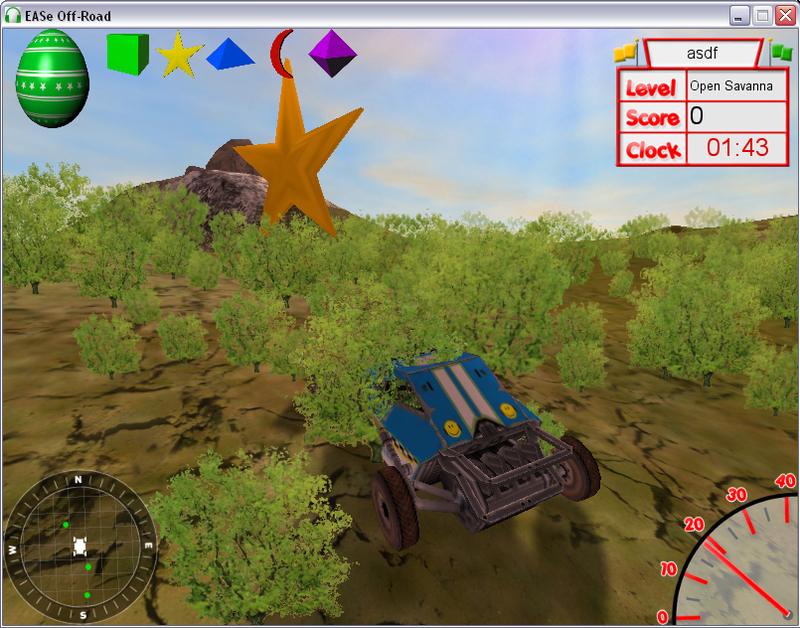 EASe Off-Road Treasure Hunt’s buggy is controlled by the mouse, and is selectable in multiple colors and two buggy views. 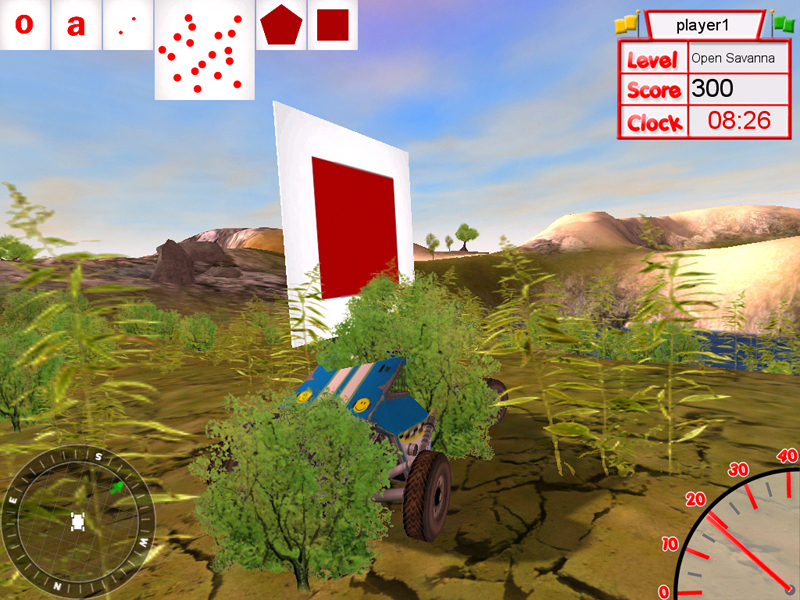 The default buggy view is called third person view, and places the player behind the buggy as it bounces along. 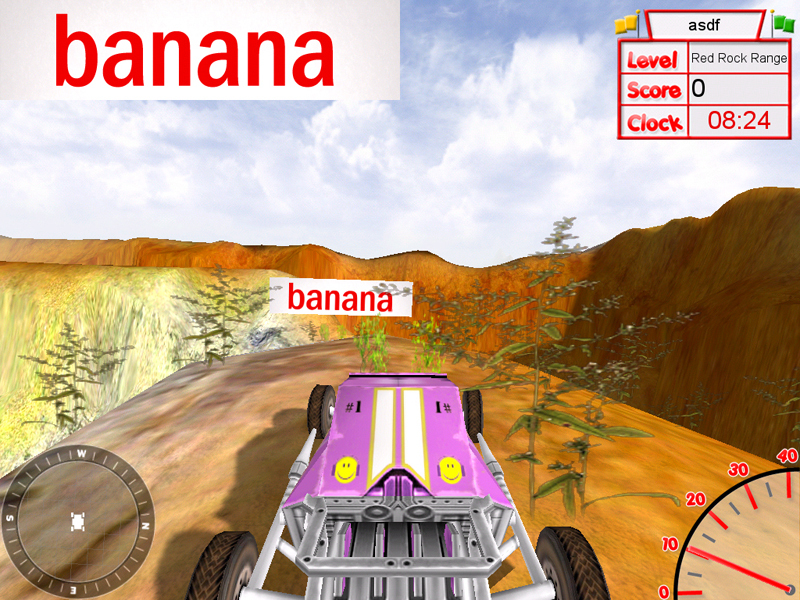 Pressing the Tab button shifts the camera to first person view, which places the player inside the buggy for a truly wild ride. EASe Games represent a revolution in the development of software for children on the Autism spectrum and all other children diagnosed with Auditory Hypersensitivity, Hyperacusis, Central Auditory Processing Disorder (CAPD) or Sensory Integration Disorder. Now our children can listen to their EASe CD audio, while enjoying stimulating, fun and nonviolent driving and flying video games. Your child deserves to have some fun, and to learn how to manage the noise that torments them and balance issues that cause them constant difficulty. Now you can help them with EASe Games!